Finally, a rope with a happy ending for the consumer. 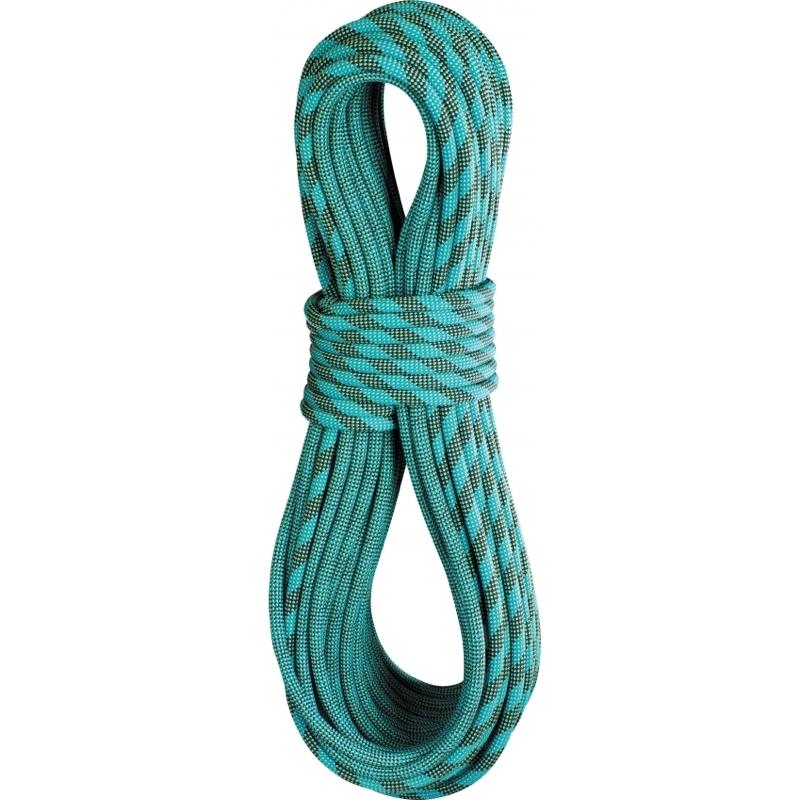 Want a bicolor rope for only $20 more than a solid colored rope? Then you’ve come to the right post, where we talk in-depth about Edelrid’s spankin’ new 9.2mm Topaz rope coming in spring 2015. Triple-rated for single, half and twin use, the Topaz weighs in at 59 g/mm, which you may note is more like a 9.5mm rope. That’s because it’s made on a 48-carrier braiding machine, where the sheath is very tightly woven, creating a soft, supple, and flexible hand. It also means you should expect the Topaz to act closer to a 9.5mm rope in terms of durability. Although the Topaz is not quite in the superlight territory along with ultra-skinny twin/halfs, it’s far from a fatty. We fully expect the Topaz to feel comfortable at the crag (it’ll hold up nicely due to the increased sheath proportion) and in the alpine (not too heavy to add to your pack). No rope is perfect for every climbing scenario, but if you can afford only one rope, want it to be skinny, and need it to perform in every environment from the sport crag to the remote alpine, then the Topaz is a serious contender that will give you a lot of future options (like when you buy a skinnier twin/half rope to compliment it). Note: If you want a step up in durability, go for the 9.5mm Eagle Light. Since the Eagle Light is also made on a 48-carrier braiding machine, with little to no air in the sheath, you’ll find that it acts more like a 9.8mm rope in terms of durability and will have the same smooth handling characteristics as the Topaz. Since the Eagle Light is still a small diameter, you’ll continue to benefit from easier packing (size-wise) and less friction in the system when it runs through your gear. If you want a lighter rope for those alpine endeavors, check out the 8.6mm Corbie and 8.9mm Swift, both triple-rated. Or if you’d feel more comfortable with a larger diameter rope, the single-rated 9.7 Anniversary and 9.8 Boa would be a good place to look. If you want more options, click here to see all the Edelrid ropes available in the US and sort on the features that matter most to you (diameter, price, weight, etc). The Topaz is included in Edelrid’s Proline which means that, unlike their Sports Line ropes, it’s dry treated. It also has impressive fall rating stats: 8 single falls and over 30 falls for both half and twin uses and boasts my favorite sheath slippage measurement of 0mm. Impact force: 8.9 / 6.5 / 10.2 kN The impact force is just a touch higher than other 9.2mm ropes ropes due to the compactness of the sheath. Saving the best news for last: the Topaz will be available in a single-color pattern or in a bipattern design, with only a $20 difference in price. How is this possible? First, a quick lesson in rope manufacturing: To achieve a bipattern design, the braiding machine typically stops and the bobbins are manually moved by hand, a process that can take up to 15 minutes. Employees must be present during every change which reduces the efficiency of the production process. An extra long lunch break could stop the bicolor production line! This is why bicolor ropes have traditionally been attached to such a large price tag, easily adding $40-60 to the total cost. Two years ago Edelrid began developing a machine that is now able to fully automate the bicolor and bipattern design change, which now takes under 2 minutes. We love this story because Edelrid has set their price for the 9.2mm Topaz in a way that reflects this increase in efficiency. 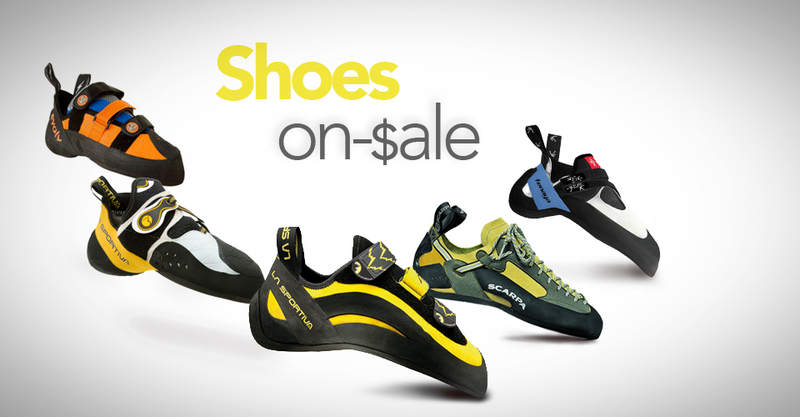 You’ll find the 1-color Topaz 60m at $239.95 and the bicolor version at $259.95. For comparison’s sake, this won’t be the cheapest bicolor rope on the market, but for similar diameter ropes, like Sterling’s single-rated 9.2mm Fusion Nano, it’s about $15 cheaper. Once Spring 2015 is here, in the US you’ll find 60m and 70m versions, and in Europe, you’ll also have access to 50m and 80m Topaz ropes. Can’t wait for the Topaz?